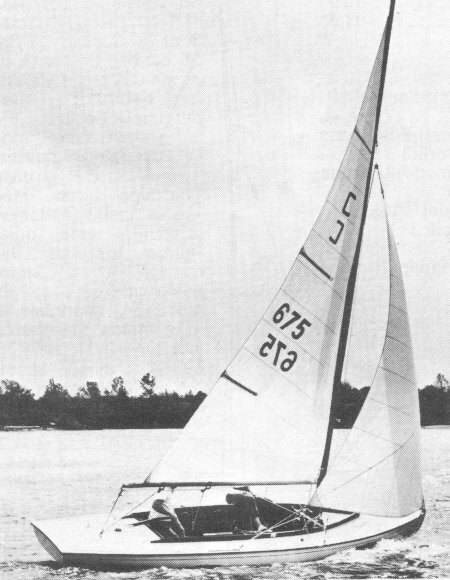 Both centerboard and keel models were offered with a transom mounted rudder. 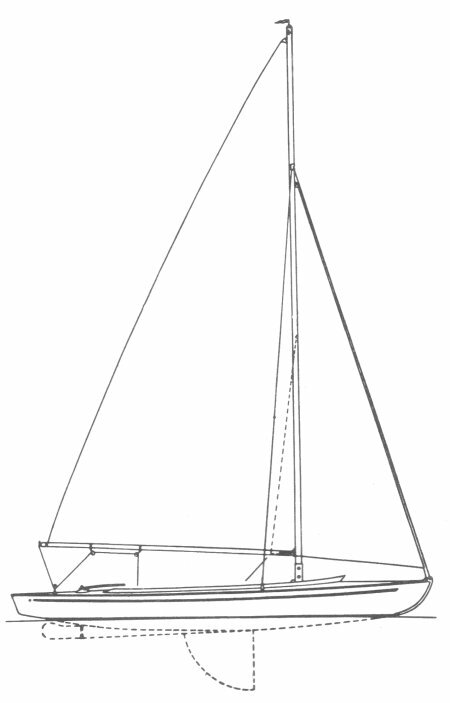 Draft for fixed keel version: 2.92'. Disp. : 1100 lbs. At some time in the 1950's, the design was changed to include an inboard, skeg mounted rudder. By 1972, Evanson was building it's own all fiberglass version.